Crowdfunding has significantly changed the world of puzzles and games by offering a new avenue for creators and fans to directly interact and determine whether a game or a puzzle suite becomes a viable product. Many puzzle constructors and game companies are using crowdfunding to both assess the public’s interest in a given game or puzzle AND to raise funds for an initial printing. And in today’s product review, I’ll be giving the full PuzzleNation treatment to a card game born on Kickstarter and realized through crowdfunding. Let’s talk about Adorable Pandaring, created by Chris Cieslik and Asmadi Games! In Adorable Pandaring, your goal is to gain bamboo by collecting as many adorable pandas as possible. The trouble is, everyone else is collecting pandas too, and the definition of adorable can change depending on the cards on the table! It’s panda law. Each panda card has a value and an action. The value lets you know if the panda is adorable or not, depending on the panda law at the time. Sometimes high-numbered pandas are adorable, sometimes low-numbered ones are. Sometimes even-numbered pandas are adorable, sometimes odd-numbered ones are. The action allows you to affect either an opponent or the game itself. 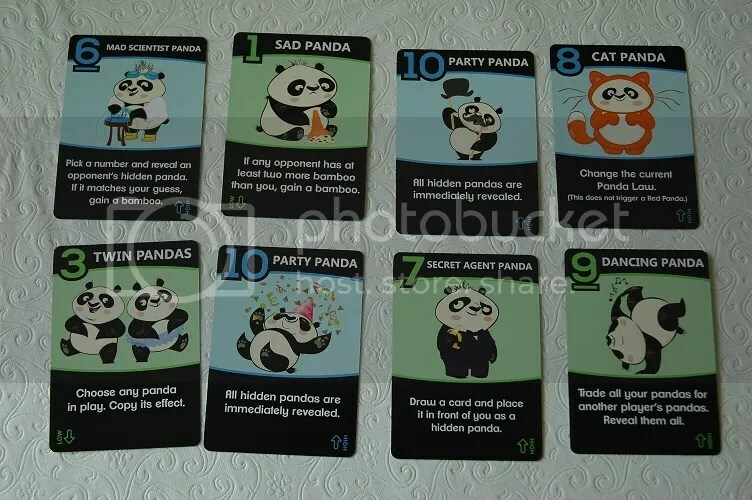 You might gain bamboo, change the panda law, trade cards with an opponent, reveal hidden pandas… there are lots of options, some with exciting consequences. This is a wonderful mix of poker-style strategy — which card information you share with your opponents and which you conceal — and Fluxx-style rule-shifting chaos. At any time, the panda law can change and your adorable pandas lose their value, or everyone’s hidden cards are revealed and bamboo is awarded. And the art is delightful. The pandas are hilarious and, yes, adorable, whether they’re disappointed by dropped ice cream cones or looking sharp in secret agent tuxedo-wear. 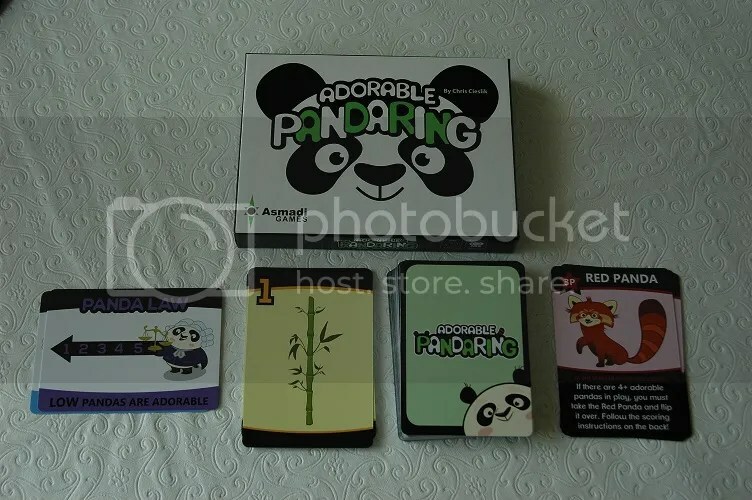 Great fun for three to five players, Adorable Pandaring promises adorable pandas and delivers a lot more, making a terrific gateway card game for younger players and a delightful quick-play game for all ages. 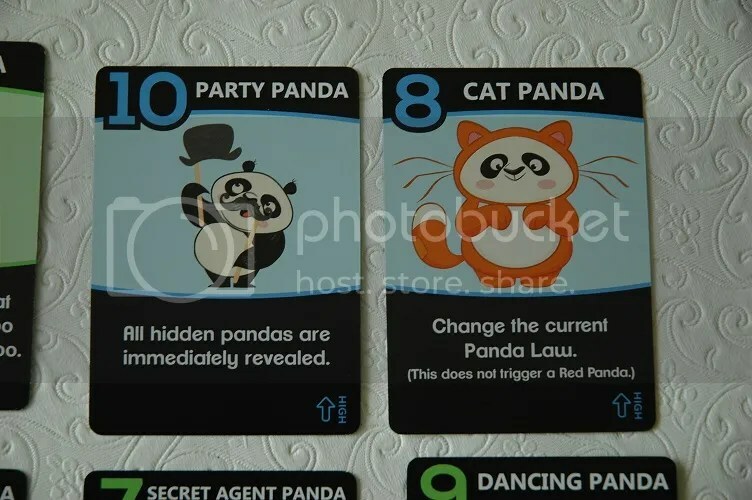 This entry was posted in Games, PuzzleNation, Puzzles and tagged Adorable Pandaring, Asmadi Games, card game, Chris Cieslik, crowdfunding, Geeking Out, Kickstarter, panda, Pop culture, product review, PuzzleNation, Puzzlin' fool, strategy by gmdirect. Bookmark the permalink.